There are many choices available today for the prospective cosmetic surgical patient. There are many important decisions to be made as well. How does one go about choosing a surgeon and a safe facility? What is the appropriate and correct procedure and can it be carefully performed? Can the desired results be realistically obtained? The philosophy that Dr. Shuter has followed throughout his career attempts to answer the above questions in an ethical and honest way. Thousands of satisfied patients can attest to this. 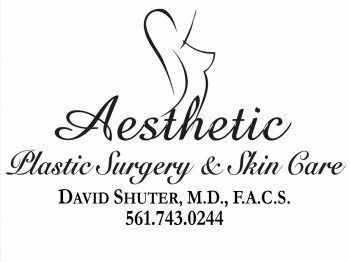 Indeed, almost every patient that Dr. Shuter cares for is sent to him via patient referral - in other words, from a happy patient with a good result. See Dr. Shuter's answers to common questions regarding Breast Implants and more at RealSelf.com. Join our mailing list. Receive a $50 coupon towards any service when you join. We never sell your email and respect your privacy.